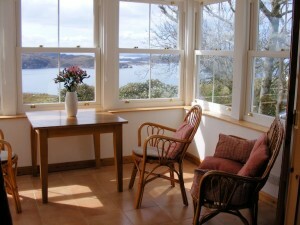 A very special place where you can enjoy a truly relaxing holiday beside clean seas and beaches, tranquil lochs & islands and the spectacular mountain scenery of Wester Ross & Sutherland. 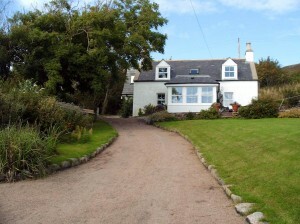 For top quality accommodation with the best views of the Summer Isles, Castlehill Cottage is a home from home for your holiday. 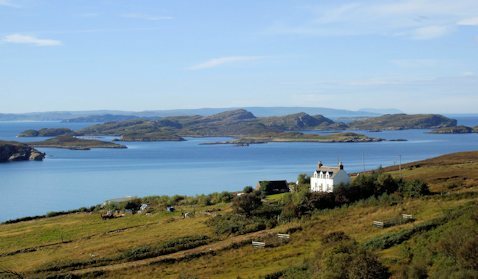 Located on Scotland’s northwest coast, Achiltibuie cottages on the Coigach peninsula enjoy some of the most spectacular scenery in the Scottish Highlands. You can forget the rest of the world here for a day or a month, where the view may be different every time you look at it and the surrounding landscape will often take your breath away. This area is a stretch of coast missed by the North Coast 500 route and lies on the southern boundary of the Northwest Highlands Geopark. It is a National Scenic Area and forms the northern boundary of the newly designated Wester Ross Marine Protected Area. Unique mountains and islands and an active and thriving community. Join us for a while and find out why we stay. Don’t rush your visit. If the weather is good you’ll want to linger. The webcam is currently offline due to a hardware failure. This may be permanent depending on the cost of replacement.